The opportunity to meet fitness goals has never been easier for Winter Springs residents than with the exciting programs and fitness classes offered at Fitness by Example. Fitness by Example specializes in helping clients reach goals by altering daily habits so that weight is not only lost, but is never gained back. Our Winter Springs fitness classes are designed for all ages and fitness levels, so clients from all walks of life can feel comfortable and motivated when participating. Boot camp classes are designed to pack a dynamic workout into a short, thirty-minute session. Winter Springs boot camp exercises are geared towards burning fat and building muscle so that results can be seen after just a short workout. Boot camp classes are offered early in the morning and late in the afternoon to accommodate most work schedules. Fitness by Example’s Transformation Challenge has been helping clients see results in just eight weeks. The program works by helping clients to understand the eating habits that will help them to lose weight and build muscle, and couples those changes with short, high-intensity fitness classes. 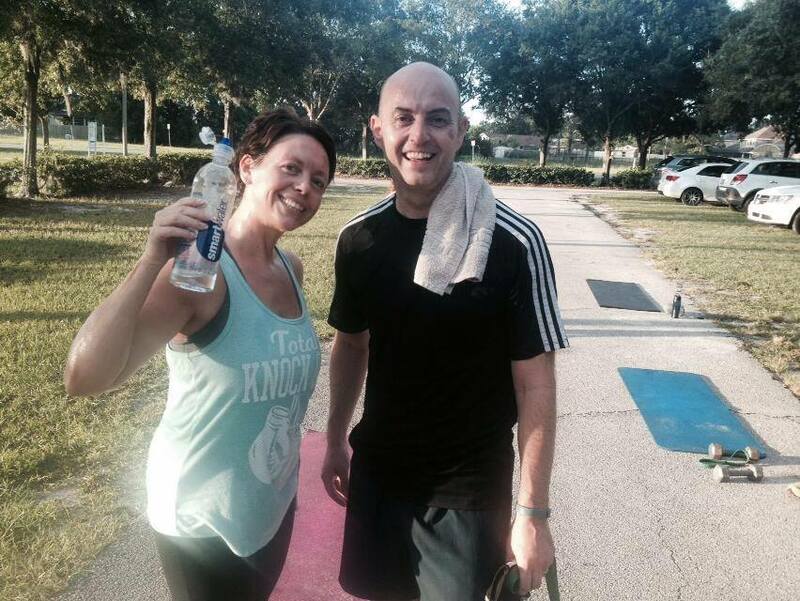 Staff and other participants encourage and hold each other accountable during the challenge, which helps make this program more successful than many fitness programs. When doing the Transformation challenge, clients participate in Winter Springs fitness classes three times per week. The classes are high-energy and help clients to tone up and trim down without spending excessive time. The short classes and three a week requirement make it easier for clients to fit the fitness classes into a busy weekly schedule. This makes clients much more likely to complete the challenge and attain the results that they are looking for! Clients typically find our nutritional strategy much more workable than most diets or programs. We provide Transformation Challenge participants with a Rapid Fat Loss Nutrition Manual that presents guidelines and tips for boosting metabolism and energy, which in turn helps to burn fat more quickly. We understand that when clients work out, they get hungrier, so we do not advocate limiting calories as clients often become quickly frustrated and are more likely to give up. Instead, we help clients understand the best foods to eat and encourage clients to eat when they are hungry. Tough Mudder classes help clients prepare for mud races. These classes are offered on Saturday mornings at 6:30 in the summer and 730 the rest of the year, and are one hour long. (Be sure to check the schedule) There is a tug of war during the class and a series of dynamic exercises that are as fun as they are helpful. Call 407-529-4512 today to get started with our exciting Winter Springs fitness class options!